A new Samsung SSD has been unveiled this week in the form of a small form factor PCIe flash drive that is capable of transfer speeds up to 2.15GB/sec. 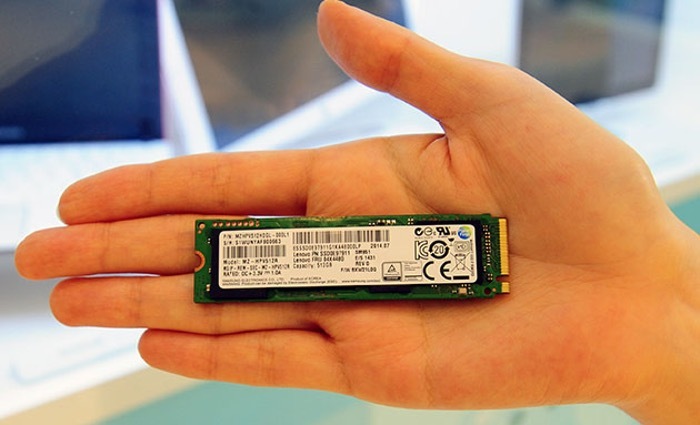 Samsung has designed the low energy, super slim, super fast solid state disk (SSD) for ultra-thin notebooks, tablets and PCs enabling the system to extended its battery life whilst increasing performance. Unfortunately at the current time Samsung hasn’t revealed all the specifications for the hardware but has explained that it’s constructed using 10nm-class MLC flash. The drive is however currently under construction and should be making its way to notebook systems sometime later this year.